As a founding member of our franchise, Steve has been integral in growing our business for over a decade. His industry knowledge and training, coupled with his natural ability to problem solve and troubleshoot make him an invaluable part of our company, and a phenomenal resource to have on any project. Steve has been intimately involved with every large loss project we have completed over the past 10 years, in addition to assisting and teaching several other franchise partners how to properly and efficiently manage, document, and produce large loss projects. 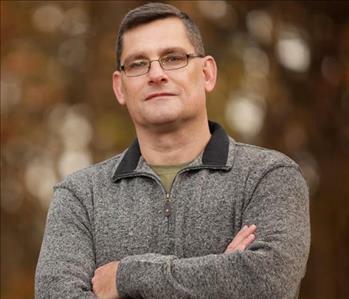 Some of the projects he has assisted/trained other franchises on include a large commercial fire ($1.7M), and a large commercial water loss ($43M) Steve was the first responder to the fire loss and was crucial in securing the project for SERVPRO. 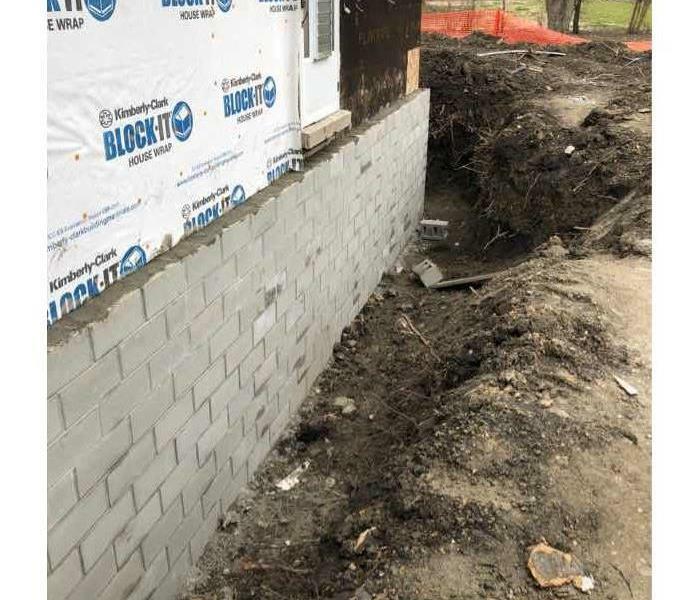 These projects and multiple others throughout Chicagoland show that not only is he dedicated to representing the SERVPRO brand, but also Steve’s commitment to “Keep it Green”. As the Director of Operations, Steve has had the opportunity to share his knowledge and experience with our entire production staff, which has allowed for our continued growth. He holds the following IICRC designations; CCT, HST, WRT, ASD, AMRT, CDS, RRP, CMI, CMRC and has nearly finished qualifying for IICRC Master Status as a fire and water restorer. Joe joined the SERVPRO family in 2014, and brought over 10 years of construction, project management, and mitigation experience and credentials with him. During his tenure in the business, he has been involved in a wide variety of recovery projects in the industrial and institutional markets, as well as several hundred residential and commercial multi-unit properties. His project experience includes acting both as the primary sales contact and assisting with production on multiple commercial losses and schools. He also worked on multiple high value ($500,000+) water and fire mitigation and repairs projects throughout Chicagoland and Northwest Indiana with a previous company. With a strong background in operations and team management, Joe has been able to bring valuable experiences from outside the SERVPRO brand to help enhance our capacity and ability to handle any recovery project we participate in from start to finish. Joe is a licensed General Contractor in IL and IN, and ABRA certified Bio-Recovery Technician. He also holds an OSHA 30 Hour designation, as well as WRT, ASD, AMRT, OCT, and FSRT designations from the IICRC. Rick has been serving clients in the restoration industry for 18 years, many of those spent within SERVPRO franchises. He has grown in the industry with both mitigation and construction experience, and has held positions ranging from Project Manager to Director of Operations. He has a wide range of project experience ranging from residential and commercial properties, to storm and hurricane response. During Hurricane Katrina, Rick was responsible for oversight and project management of the recovery for several hotel properties ranging from $100,000-$500,000+. He is more than confident in the processes it takes to secure, maintain, communicate, document and manage Million dollar+ projects because he has learned on the job. 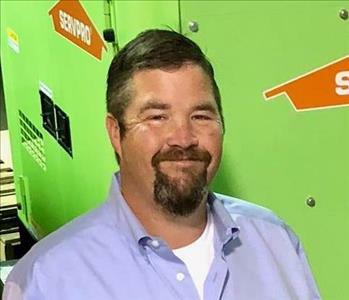 Rick not only possesses real-world large loss experience, but having completed several of those jobs as a SERVPRO employee, he knows what it takes to get large losses done and collected the SERVPRO way, whether at home or on the road. Rick is an IICRC certified professional. 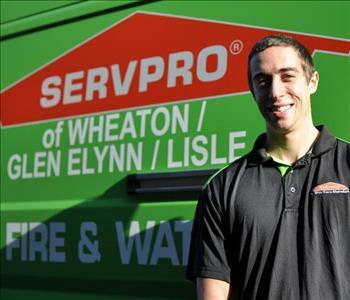 Tony is a Project Manager for SERVPRO of Wheaton/Glen Ellyn/Lisle and SERVPRO of Plainfield/Naperville South. He is a graduate of Western Illinois University and holds a degree in Construction Management. He brings 3 years of Project Management experience to our team where he started as a Project Supervisor. From there, he quickly excelled to where his journey in Project Management began. Early in his career he had the opportunity to serve as Superintendent on a $1.5mil fire restoration of a Catholic Church. In his 3 years of being in the industry, he has directly overseen as many as 30 ongoing repair projects ranging from $1,000-$350,000. He is OSHA 30-hour certified as well as certified in WRT, FSRT, HST, and OCT for the IICRC. He looks forward to growing his career with his SERVPRO family. Tony says that the best part of his job is being able to bring people a better living situation than they were prior to their loss. His main goal is to continue taking in knowledge to eventually run large scale construction projects. 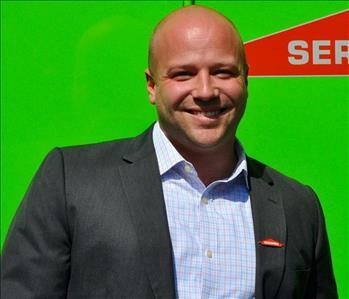 Matt joined the SERVPRO family in 2017, bringing with him a wealth of talent and experience. With over 15 years of experience in construction and restoration, with 20+ years in fleet and vehicle management, Matt was a perfect fit as our Director of Procurement. He has managed a 12,000 vehicle fleet, coordinated a 900+ automobile acquisition and served as a supervisor on projects worth millions of dollars. Matt’s ability to manage large-scale programs, analyze profit and loss, negotiate insurance plans and budget complex company fleet plans ultimately led to his procurement role. 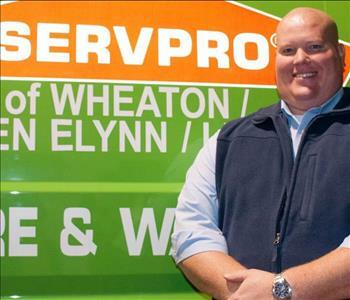 His past involvement managing insurance plans, automobile acquisitions, negotiating contracts and developing company programs has also proven a valuable asset at SERVPRO. Matt continues to stay busy with managing our corporate fleet program, acquiring equipment, building materials and other items, as well as helping the team in any way he can. With over twenty years of construction and restoration experience, including owning and operating his own SERVPRO, Myles was a great fit to join our team. Before joining the restoration business, Myles was working in commercial buildings in the pipe and duct insulation industry. For over seventeen years he worked on projects in hospitals, schools, universities, small office buildings and even high rises in downtown Chicago. Myles held many different positions during his career in the pipe and duct insulation trade. He certainly learned a lot about the construction industry but also learned the significant differences between constructing a new building versus a remodel project. 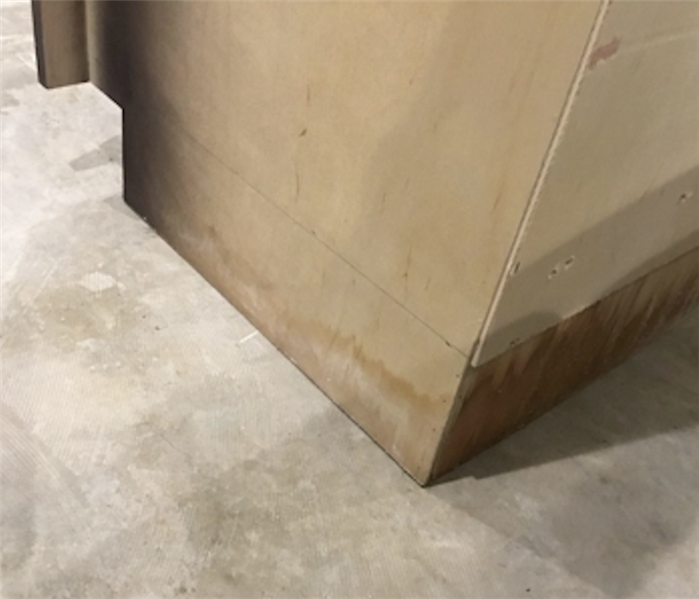 Also, he gained first-hand knowledge about the demands and logistical challenges of a building addition or repair situation, both of which play a large role in the restoration industry. 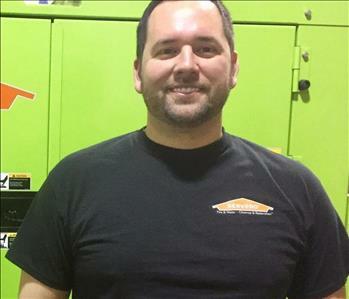 His combined knowledge of both construction and restoration has proven to be a great asset with SERVPRO, but anyone who knows Myles agrees that his personality is perhaps his greatest strength. Liked by all, Myles makes for a natural at Business Development. When he is not working with customers or co-workers, Myles can be found on the far South Side of Chicago with his wife and four children.